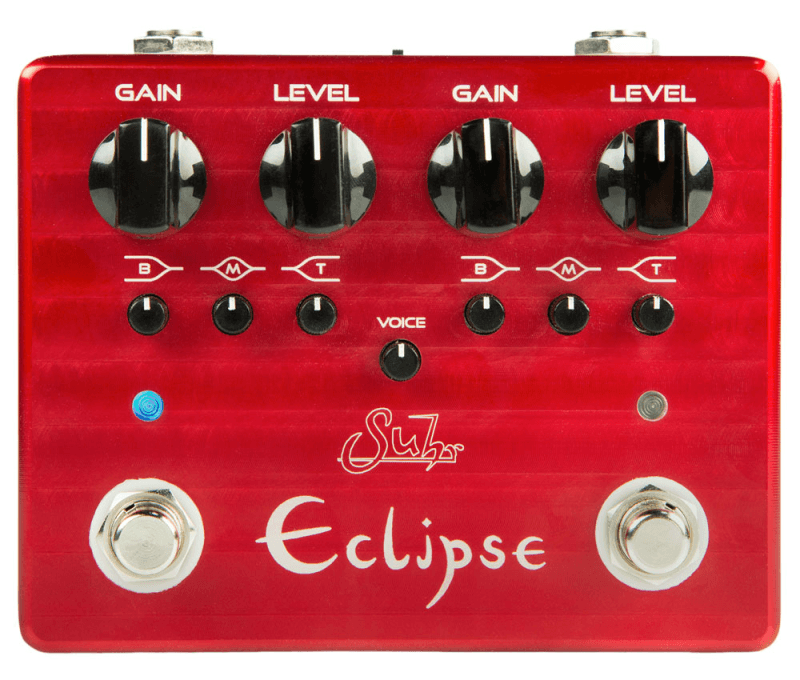 Eclipse’s incredible versatility stems from its powerful and intuitive two channel circuit design. Each channel is completely independent, and features its own Gain, Level and 3-Band passive EQ, similar to a channel switching amplifier. 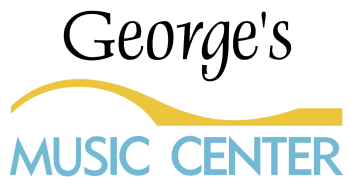 Both channels can be voiced independently to accommodate all of your playing needs. 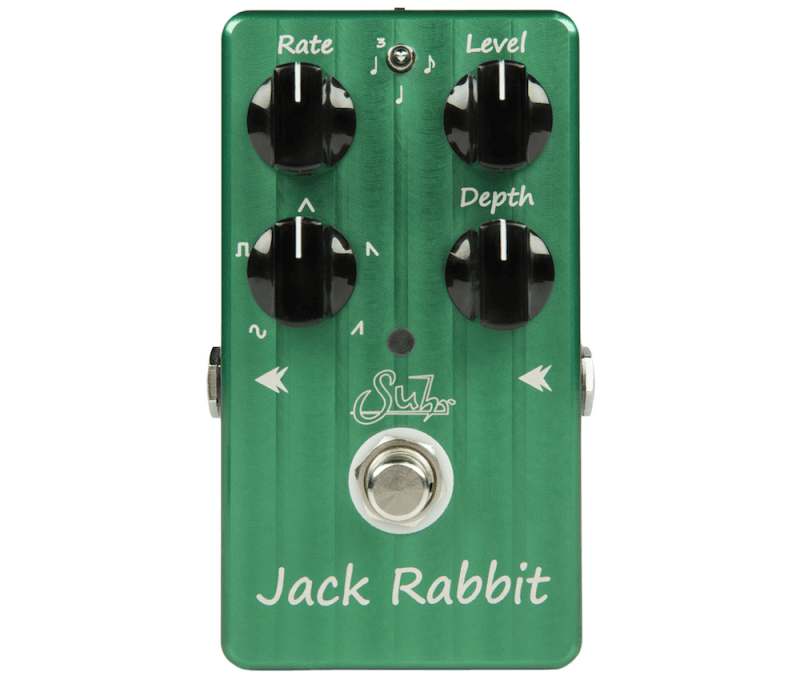 In addition to using the Rate control, Jack Rabbit’s tempo can be set with tap, strum, or via the 1/8″ FX Link jack. See the manual for more details. 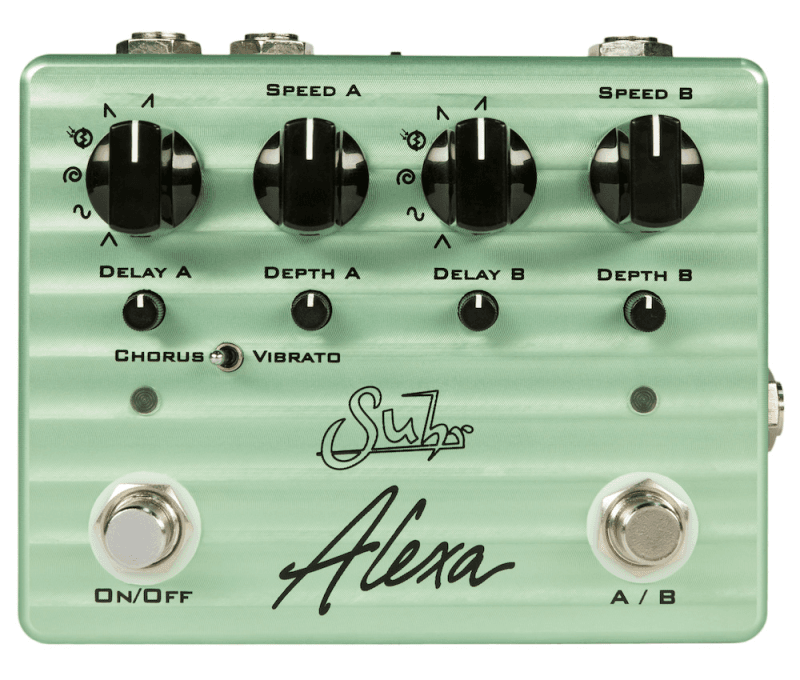 Rate - Controls the speed of the tremolo effect, from 1Hz to 20Hz. Level - Controls the output level of the pedal, from +0dB to +14dB. 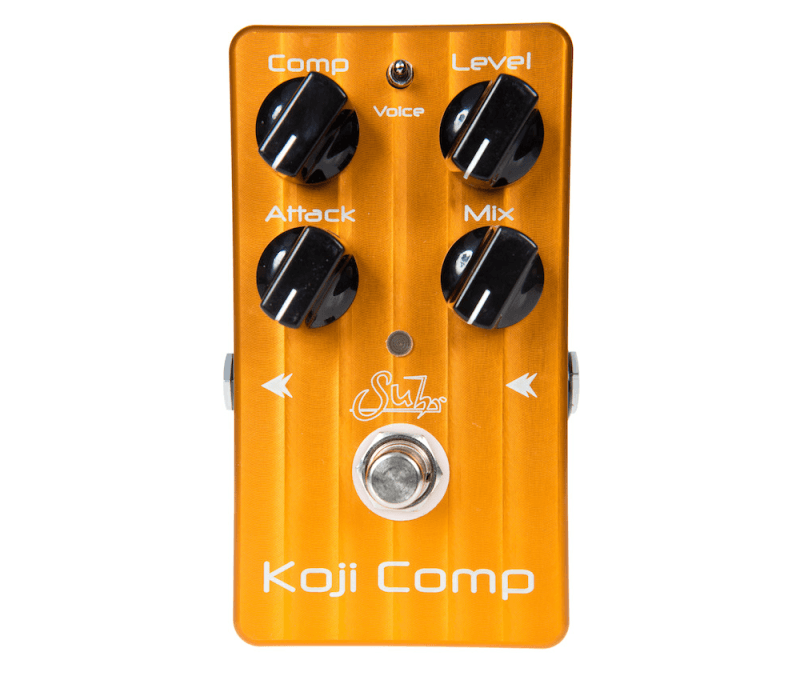 Depth - Controls the depth of the tremolo effect. Waveform - Selects the modulation waveform which includes Sine, Square, Triangle, Reverse Ramp, and Ramp. True Bypass - Riot is true bypass via a relay. This function allows for the remote switching, and the battery monitor feature. The relay produces less popping when switching the pedal on and off. FX Link - The FX Link connector allows the pedal’s switching and tap tempo function to be controlled from an external switch, pedal board, loop switcher, or any other custom interface. FX Link also provides the ability to power up in the On/Off state. Low Battery Monitor - A unique battery monitor circuit alerts the user to low battery conditions. In addition, the battery monitor will automatically switch the pedal to True Bypass if the battery voltage is too low for the circuitry to correctly operate. Gain Reduction Indicator - The LED indicator that displays the amount of Gain Reduction based on the ratio of your instrument’s signal and the level of compression in your signal. On / Off Indicator - The LED indicator displays the on / off effect status. 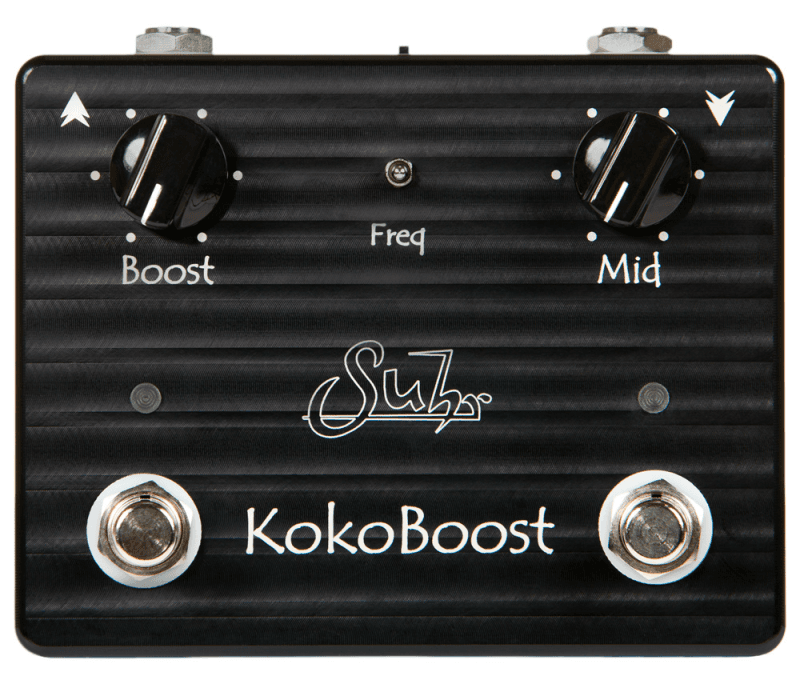 Boost - Adjusts the overall output of the boost circuit. The Boost control varies from 0dB (unity gain) to +20dB of gain. Turning this control to higher settings will efficiently push the front-end of your amplifier and create a broad range of natural overdriven tones. 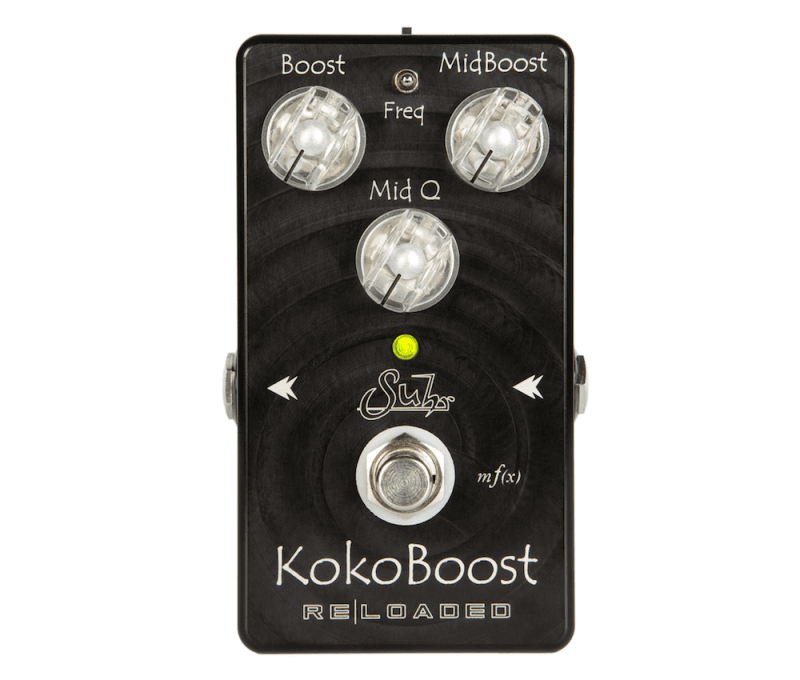 Mid - Adjusts the output of the selected Mid frequency (via the Freq switch) that is added to the clean boosted signal. Left (Mids) - Full and Smooth, tuned specifically to bring out your guitars natural midrange characteristics. Middle (High Mids) - Clear and articulate, voiced to cut through a mix for solo playing. Right (Low Mids) - Fat and Creamy, excellent for thickening up rhythm and lead tones. Selectable Bypass Mode - Because compressors are commonly found early in the signal chain, we’ve included a high quality, transparent sounding, buffer. Via an internal switch, you can choose to have Koko operate in true bypass, or buffered bypass modes. FX Link - The FX Link connector allows the pedal’s switching function to be controlled from an external switch, pedal board, loop switcher, or any other custom interface. FX Link also provides the ability to power up in the On/Off state. Low Battery Monitor - Riot incorporates a unique battery monitor that alerts the user to low battery conditions. In addition, the battery monitor will automatically switch the pedal to True Bypass if the battery voltage is too low for the circuitry to correctly operate. Low Battery Monitor - Incorporates a unique battery monitor that alerts the user to low battery conditions. In addition, the battery monitor will automatically switch the pedal to True Bypass if the battery voltage is too low for the circuitry to correctly operate. DIST - Adjusts the amount of gain added to your tone, taking you from classic crunch to high-gain heaven. LEVEL - Adjusts the output of the pedal. 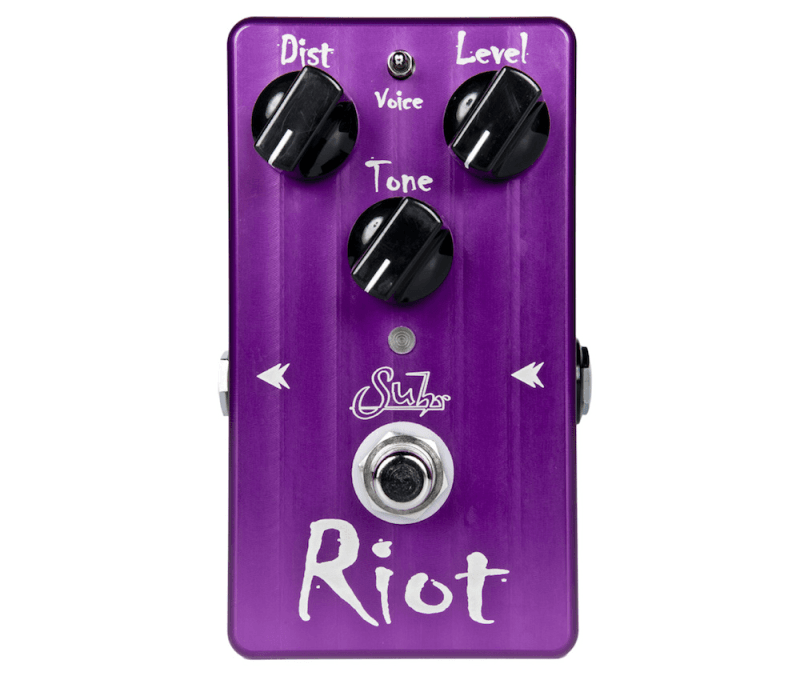 Riot provides enough level to push the front end of any tube amp into natural overdrive. 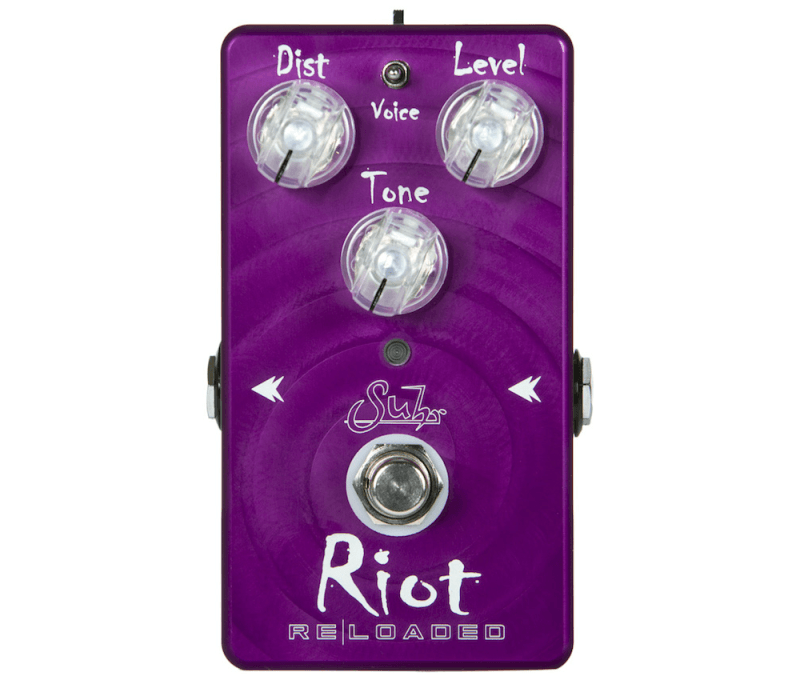 TONE - Shapes the overall tonal response of the pedal, from smooth and warm to cutting lead tones. Left - Produces a natural, organic tone that responds dynamically to your guitars volume control. Middle - Puts you into high gain territory with a solid midrange, with a tight bottom end. Right - Produces a vintage high gain response, with excellent definition. 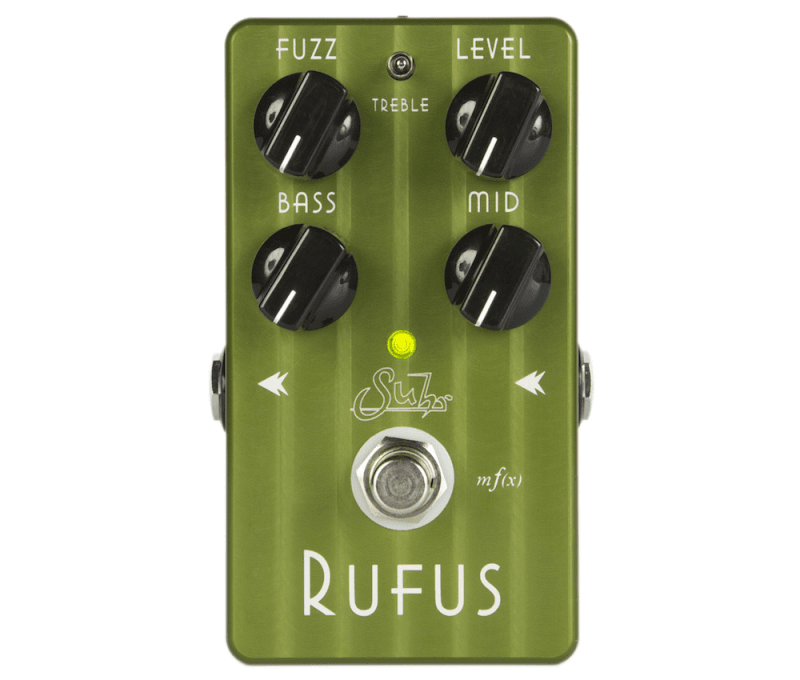 True Bypass - Rufus is true bypass via a relay. This function allows for the remote switching, and the battery monitor feature. The relay produces less popping when switching the pedal on and off. Low Battery Monitor - Rufus incorporates a unique battery monitor that alerts the user to low battery conditions. In addition, the battery monitor will automatically switch the pedal to True Bypass if the battery voltage is too low for the circuitry to correctly operate.